Vendors, please contact Cindy Reeves at the phone number shown below. It is with great pleasure that we invite you to experience a significant slice of Native American culture at the 25th Annual Hart of the West Powwow. We hope you will come and enjoy the dancers, drummers and the numerous displays of arts and crafts. The efforts of many have gone into making this a successful event. 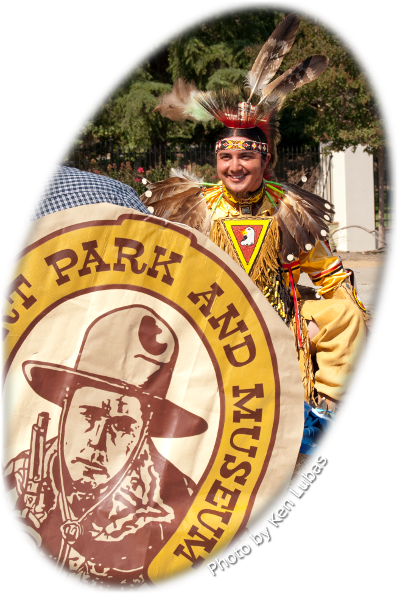 Among them, Native Americans who have traveled great distances to share part of their heritage with you, the Friends of Hart Park, the Department of Parks and Recreation, and all our sponsors. Come and enjoy Los Angeles County's largest Pow Wow. Free admission!